A great way to see the Stampede oxen was to follow one of our driving, cycling or walking tours, or use one of our maps to create your own route throughout the Valley to find the herd. The official Stampede Map has information about all of the oxen, and fun things to do in and around Hopewell Valley during the exhibit and after, so hold on to it if you have one! 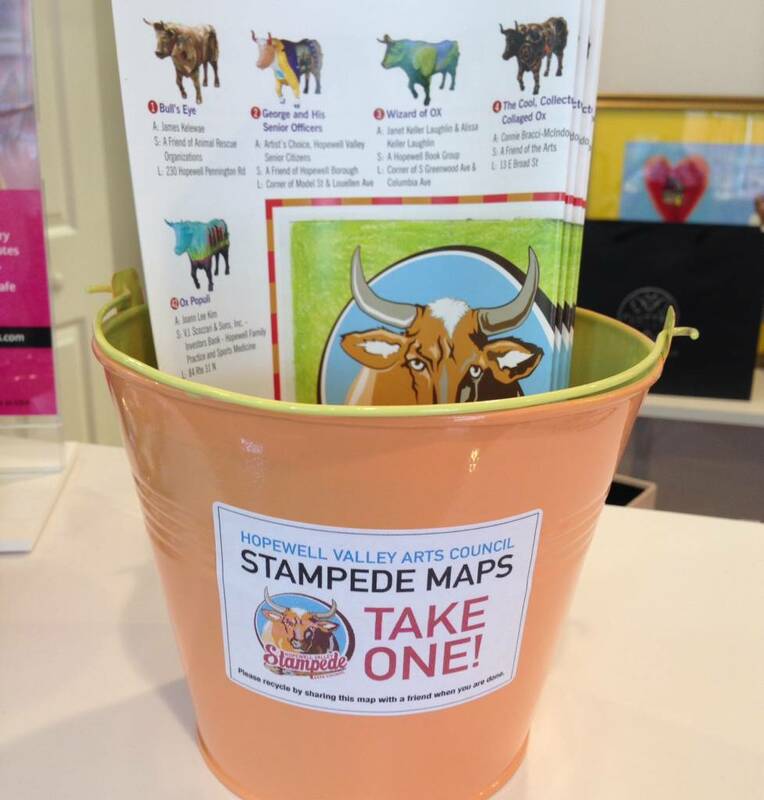 The beautiful Stampede map, your guide to 68 oxen in their original Stampede locations, is still available online! You can download the “full” map, with the ox border and event information, or a specially formatted letter-sized map showing just the ox locations. You can also print the accompanying checklist to help keep track of all the oxen you’ve seen. Many of the oxen have remained in their original locations, some are now held for private use, and new locations for some can be found on the oxen web pages. Finding them is part of the fun! Our google map has a pin for each ox location and gives the corresponding map number and GPS coordinates.